Part one of a two-part series. For a contrary view, see "Why smartphones are the rightful kings of social media." Walk anywhere within a 3-mile radius of the PCWorld office, and you’ll find legions of new-economy hipsters with smartphones surgically implanted in their hands. But they’re not talking on their phones. They’re checking Facebook. They’re posting to Twitter. They’re making connections on LinkedIn. And a few of the more, well, eccentric souls may even be doing something on Google+. But all these people are also making grave, grave mistakes. For, despite everything you’ve heard, the ultimate social media experience will never be found on a smartphone. No, it’s waiting for you on your desktop PC. Forget all the conventional wisdom about phones being tailor-made for social media consumption and broadcasting. Desk-bound computers are better—and not just because they protect us from posting inane real-time updates like “Eggs Benedict! Yum!” Our lives were not meant to be virtualized and crammed into the restrictive confinements of a little 4- or 5-inch screen. No, social media is best savored on a PC, where it’s more productive, user-friendly, and fun. Social media smartphone apps seems to be in perpetual beta—thus explaining why they crash so many times right in the middle of a critical maneuver. Granted, it’s a first-world problem, but it’s also a crappy user experience no matter how you cut it. If you run those same social media services on your desktop browser, however, you’re much less likely to suffer the heartbreak of a mid-status-update disaster. Facebook app crashing; iOS 6.1.2, Facebook 5.6. Desktop browser interfaces are generally more stable, and have near limitless memory to run their code. And this ensures not only that your social media experience continues uninterrupted, but that all your other fun activities continue apace. Mobile apps, meanwhile, are resource hogs and can drain what little memory and CPU cycles your smartphone has to offer. Scroll through that Facebook app, and everything begins to stutter—often taking down background tasks (music, navigation, a phone call) in the process. But perhaps the biggest challenge to a good user experience is data delivery. Barring a freak broadband service outage, desktop PCs are always connected to the Internet. Your smartphone—not so much. It may be connected to Wi-Fi. It may be connected to 3G. You may have just posted something. Or maybe not. Sometimes you’re online, but sometimes you’re out of range. 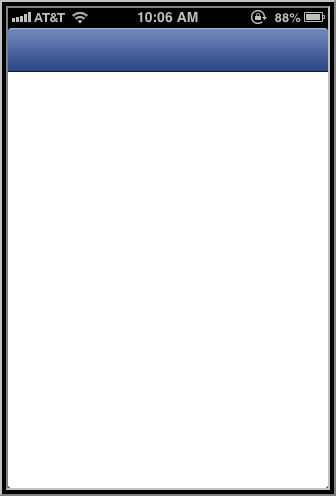 Phones offer very little room for an expansive and clean user interface. 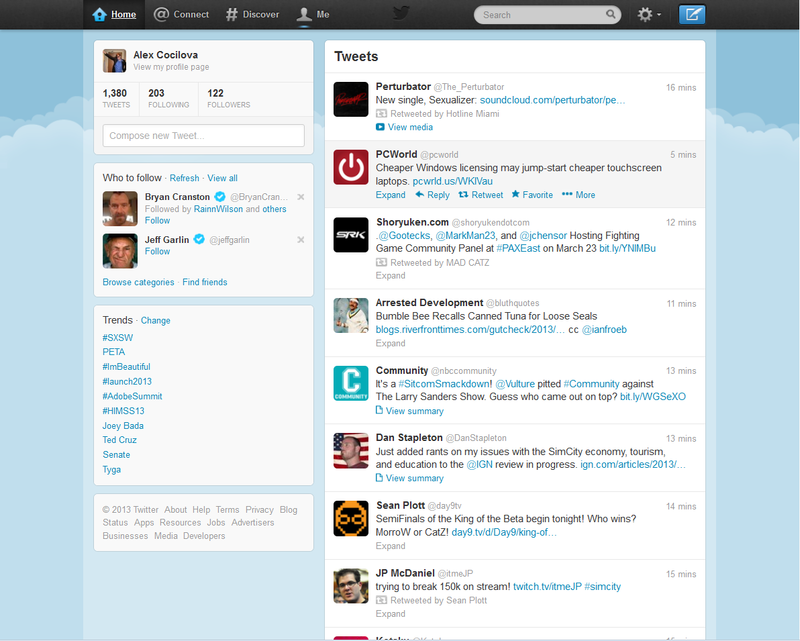 Buttons are smothered for space, and there's just too much social networking to fit into those teeny, tiny screens. Indeed, when you only have enough room to see four tweets at a time, scrolling becomes a chore. Even worse: Text entry. It's hard enough to compose a meaningful update that's worth sharing with the world. But when you have to cope with insanely small virtual keyboards and the frustrations of auto-correction, your tweets, Facebook posts, and other social media updates become time-consuming chores. Simply struggling to meet Twitter's character limit is enough to make you say, "Screw it. I'll save this thought until I can reach my PC." I have access to almost everything here on one page, including a ton of Tweets. Desktop browser interfaces, on the other hand, give us much more than a generous window for viewing ten-plus updates in a row, and much more than proper text entry driven by a full-scale, physical keyboard. They also expose the full set of tools, features and settings that social media services offer. Everything is available front and center, so you don't have to "page-hop" to reach, say, your profile or security settings. Social media services provide loud vocal cords for businesses, but trying to orchestrate content promotion on your smartphone is madness. To do it effectively, you need quick, comfortable access to tools for scheduling, account management, and analytics, and these are available only on the desktop, often through desktop client software. 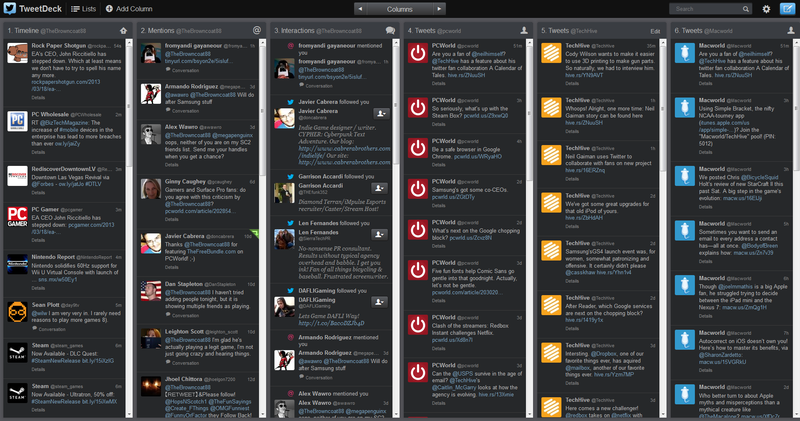 Tools like TweetDeck, which lets you manage multiple Twitter feeds in real time, are exclusive to the PC. Smartphones simply don't have the power or the screen real estate to handle these hefty tasks and to properly run a business's social media presence. 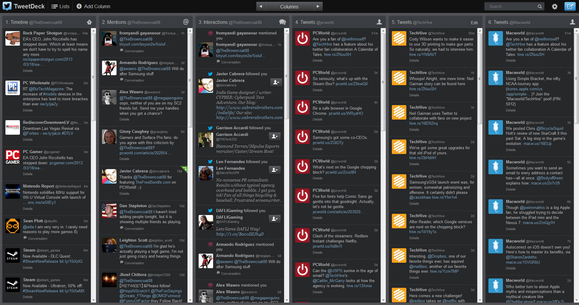 Desktop clients like TweetDeck help manage multiple Twitter streams in nice, organized columns, while SocialOomph, a browser-based service, lets you schedule updates, track keywords, and manage accounts for a variety of social media services. And let's not forget that Facebook's built-in post-scheduling feature isn't exposed in its own mobile apps. Bottom line: Whether you use social media at work, or you're simply a hard-core power user, to truly master your social media universe, you'll need a PC. Because sharing information—and funny cat videos—is the main function of any social network, it needs to be easy to do. And, thankfully, copying links, embedding videos, and uploading photos is all quick and easy with our handy mice and keyboards. The various sharing functions available in mobile operating systems and individual apps are supposed to make it easier to share content, but it's never as easy as sharing from the desktop. The "Share" buttons found on the desktop version of YouTube make it much easier to share content via social media. Let's say you want to share a YouTube video on your Facebook feed. On the desktop, you simply copy the video's URL, drop it into your Facebook page, and post. On your iPhone, however, you must tap the video, tap the general sharing icon, tap the Share button that's spawned, tap the Facebook option, and then, finally, configure your Facebook account in the Settings menu. Tweeting that YouTube video wouldn't require the heinous configuration step, but it still requires way too many intermediary actions just to share. And let's not forget that sharing rich content via your smartphone can be hazardous to both your wallet and your nerves. Spotty coverage means photos take forever to upload. Limited data plans mean those photos could end up costing you dearly. But neither issue is a problem when sharing big files via your PC. Do you really want complete and immediate access to social media when your decision-making is at its most compromised? The flip side of instant communication is instant social suicide. But if your only access to social media is via your PC, at least you have to boot up, log in, and fire up your browser before tweeting or posting to Facebook. That may be just enough time to reconsider the wisdom of over-sharing your most, er, "human" moments.